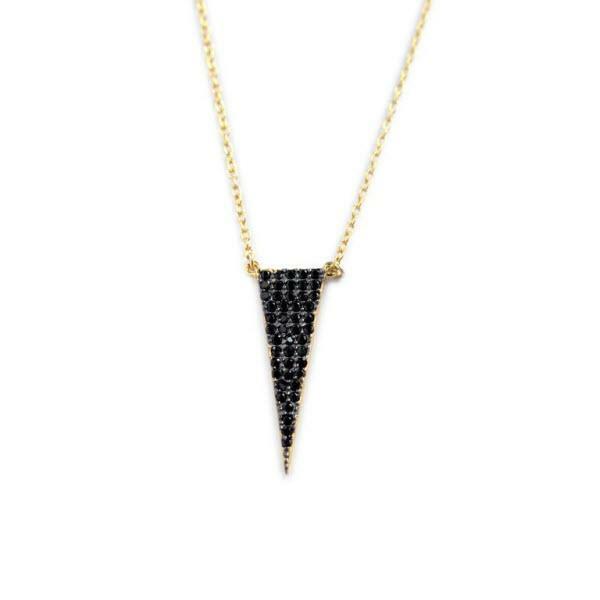 Make a splash and have everyone talking when you show up in this triangle necklace with 50 black czs. Ours necklace comes in sterling silver and you choose 16 or 18 inch and you can upgrade to gold plated or rose gold plated. Treat yourself and buy one as a gift!